IT management is constantly evolving and along with it the landscape within which it operates. It all started from focusing on managing the technology to make use of technology to help business meet strategic objectives. Literally imposing disciplines in a manner that aids productive while making IT more responsive and sensitive to the overall business objectives. No doubt that there is a huge surge in the number of organization turning to Information technology Infrastructure Library (ITIL) to realize their goals. Mega IT organizations are already taking proactive measures to expand their ITIL initiatives at pretty healthy pace. However new adoption are relatively slow. This is majorly because smaller companies and organizations are not either able to see the long term benefits or there is a clear lack of motivation. Adding up to this, economic crisis on the other hand is turning unfavorable to long term investments in improvement programs and initiatives such as ITIL. Ironically, economic downturn is the best time when IT process and services should ideally be implemented as around this time people may have more time to contribute for such initiatives when work load is pretty less. The organizations that are already into Information technology Infrastructure Library (those which have implemented ITIL) are accelerating their investment and reaping great benefits. This is overall a good indication as the organizations that are working towards continuous improvements are only going prosper and survive in the long run. Information Technology Infrastructure Library lays down comprehensive set of policies and concepts aimed at helping the managing of IT infrastructure and service. The document heavily relies on the basic principle that alignment between IT and business strategy is crucial for dispensing effective IT services and management. ITIL first originally published in 1980 by the U.K. Central Computer and Telecommunication Agency is still governed by the U.K. office of the Government of commerce. 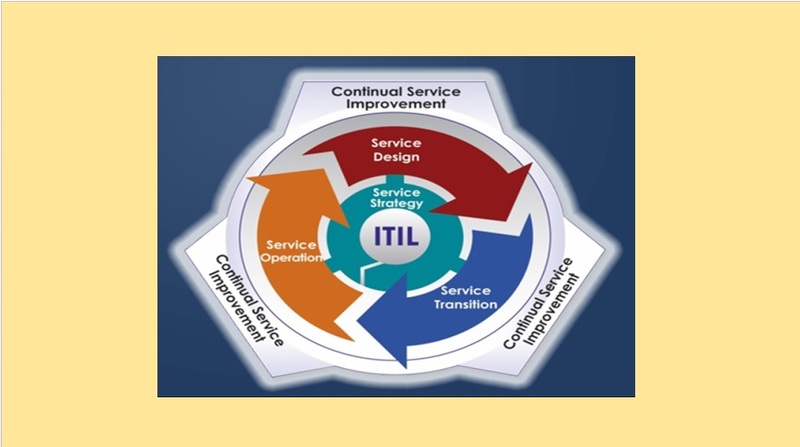 The ITIL was developed in 1980s itself, however its implementation was not taken seriously until 1990s and it’s only very recently that its traction in the U.S. has gained much momentum. ITIL aims at providing structured and flexible guidelines for establishing governance standards that controls and regulated IT service management. Industry experts claim the benefits of the program as a most beneficial pillar in bringing improvement that aligns business objectives with that of the IT services. Such approach leads to greater user satisfaction, decrease in cost of operation, outsourcing optimization, improvements in service levels and increased service availability while providing the ability to effectively manage change among many other things. ITIL like any other program isn’t without its critiques. Some critiques make allegations that the guidelines are too prescriptive leaving very small room for any kind of flexibility. They also go on to say that lengthy implementation stands as a barrier between adoptions. Some other common barriers often discussed are disruption in current process, immediate high investment in the form of up-front training cost and comparatively slow return on the investments made. Since many companies implemented ITIL, there is big demand for ITIL Certification training in Hyderabad, Chennai, Bangalore, Delhi, Mumbai and Pune. Skillogic Knowledge Solutions is providing ITIL Training in all the above cities. Visit website for scheduled training details.